Highlighter offers a versatile loop that ensures you'll never lose your highlighter. Easily attach to three-ring binders, planners, bags and more. Visible ink supply alerts you before you run out of ink. Pigmented, fluorescent ink presents bold colours, and the smooth ink flow offers consistent highlighting. 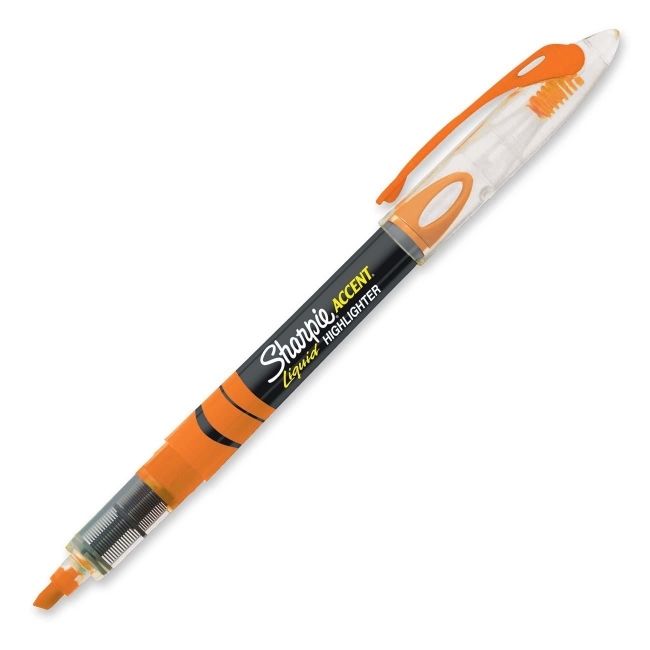 Versatile chisel tip lets you highlight both wide and narrow lines of text. Ink is quick-drying, odorless and nontoxic.